Huddersfield brought a remarkable year to a close by extending their unbeaten Premier League run to four matches after a goalless home draw against Burnley. 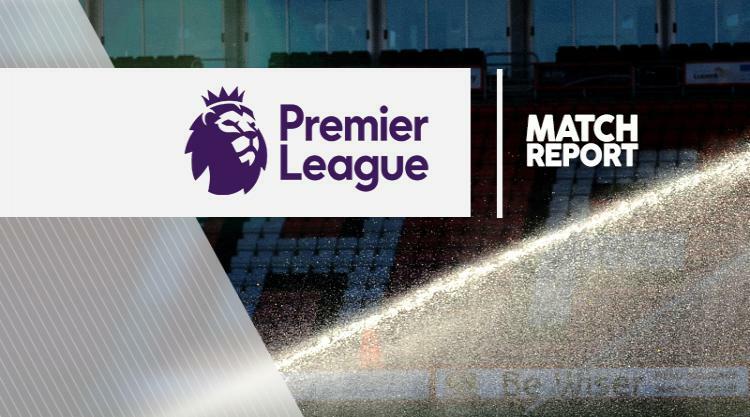 Two of the top flight's surprise packages this season showed typical endeavour but ultimately cancelled each other out, while Burnley were left to rue a controversial second-half penalty decision which went against them. Huddersfield have ended 2017 in 11th place in their first season in the Premier League, having lost only one of their last five matches, and Burnley remain in seventh - now seven points adrift of the top four - after one defeat in their last six. Town were first to settle in front of another sold-out John Smith's Stadium crowd. Collin Quaner's thumping effort was pushed over the crossbar by Burnley goalkeeper Nick Pope and Jonathan Hogg blazed a shot off target. Burnley responded through Jeff Hendrick's disallowed close-range effort following a free-kick from Johann Berg Gudmundsson, who then pulled his shot inches wide after weaving his way into the penalty area. Steven Defour was also wayward with a low shot and Burnley team-mate Scott Arfield, against his former club, headed wide, with both chances teed up by Gudmundsson as the visitors grew into the game. But clear-cut chances were hard to come by at both ends as two well-organised sides with similar attributes and short-comings struggled for a cutting edge. Ashley Barnes should have done better with his free header from Gudmundsson's corner and Huddersfield defender Scott Malone crashed a long-range effort over the crossbar as first-half honours ended even. Burnley were first to threaten after the restart, but Arfield was forced to rush his shot after he had charged into the area and Jonas Lossl comfortably saved. Huddersfield were given a let-off in the 61st minute when Lossl appeared to trip Hendrick in the area. Referee Paul Tierney, well-placed to make the correct judgement, dismissed Burnley's frenzied appeals for a penalty and instead awarded a goal-kick, while video replays clearly showed Lossl had made contact with the Irish midfielder. Huddersfield enjoyed more possession as the game entered the final quarter, but were still unable to make much headway against a Burnley defence expertly marshalled by centre-half Ben Mee. Burnley boss Sean Dyche sent on former Town striker Nahki Wells, making just his second Clarets appearance since crossing the Pennines in the summer. But Huddersfield finished the stronger. Substitute Joe Lolley was involved in most forays forwards and his cross after a swift counter-attack evaded everybody in the area. Wells almost stole the show in the closing stages, beating Mathias Jorgensen to Barnes' knockdown, but his scuffed effort from six yards was well blocked by Lossl to ensure a stalemate.